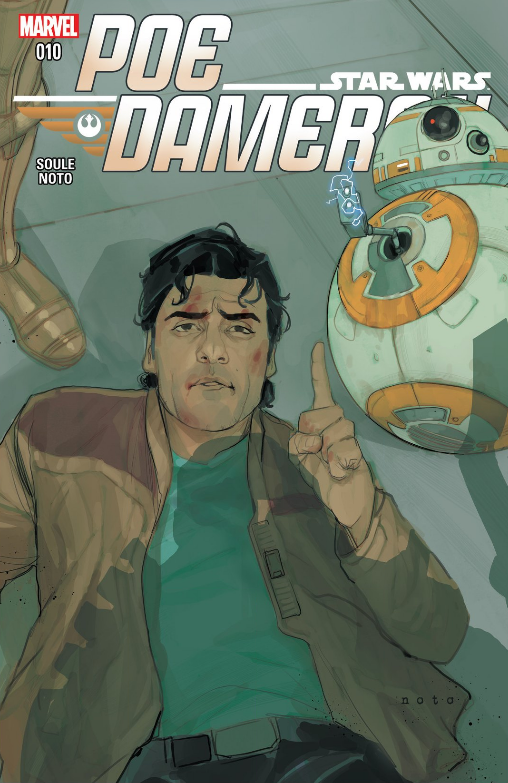 Poe Dameron #10 digs deep again into Agent Terex’s backstory as Poe Dameron charges forward in the present, but right into Terex’s hands. There’s some nice character development, and a bit of action. For Terex fans, you’re in for a treat. The issue picks up with an unconscious Poe. Having just been blasted by a stun bolt, it’s up to C-3PO to save the day. Seriously. I have to admit, I can of like 3PO in his new spymaster role. Calling on nearby resources, 3PO’s droid spy network comes to the rescue just in time for Poe to wake up. 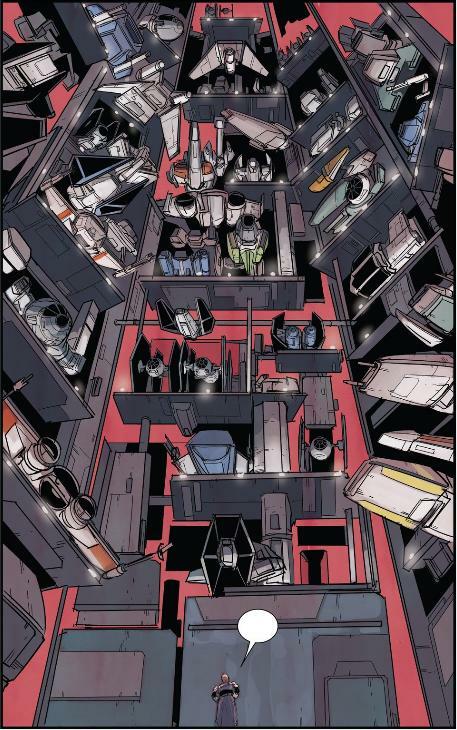 But their escape leads them into another skirmish as Terex tells the entire city to go after Poe. Yet they manage to escape once again, and this time with the droid they’ve been looking for, an old Separatist commando droid. 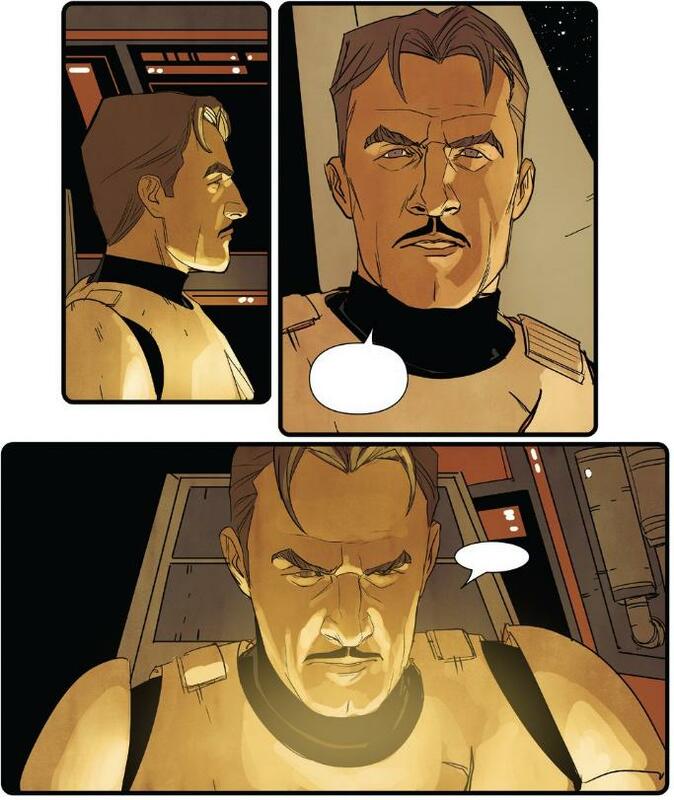 There’s not much character development with Poe, but Terex’s story makes up for it. We get another flashback of Terex which reveals how he wound up where he is now, and how he got the Carrion Spike. His storyline continues in this issue and gives readers a hint of what he plans to do with his criminal allies. Somehow Poe fits into all of that. The question is whether his trap will work. The third element of this comic is Oddy Muva. Oddy is the fellow Resistance fighter Poe took with him on this mission. During the skirmish in the city, Oddy gets separated from the rest of the team. Poe has no choice but to leave without him. Yet Oddy isn’t being left behind. Rather, he’s out on a mission of his own. But what is it? Is Oddy the spy? Is it a trick and Oddy is really out to take on some special assignment against Terex? This issue raises some questions, but the answers will have to wait until the next issue. With all of the backstory, character building, and the push of the main story, I really liked this issue. There was lots of Terex, some action, and some nice plot building moments as the story builds toward a climax. 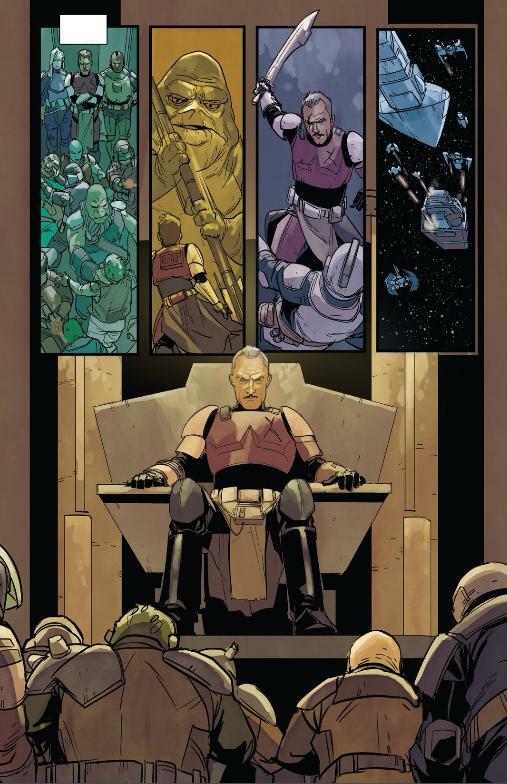 On top of all that, Phil Noto continues to do a good job with the artwork provides tons of nice visuals. I give Poe Dameron #10 a five out of five metal bikinis.